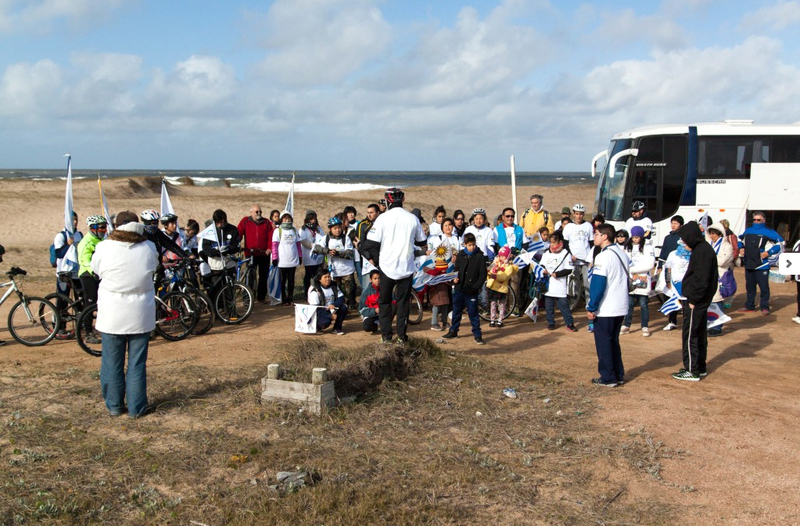 FFWPU Uruguay (more information and photos): We held the Peace Road 2015 on July 4, in the hamlet of José Ignacio, Uruguay, with seventy participants, under the theme “Strong Family”. José Ignacio is where True Father fished in December 1996 with 33 rods representing the 33 nations of South American region, which in those days included Central America and all the Caribbean island nations. This was a condition for those nations, for the unity of South America and North America and for unity between the Protestant and Catholic. Our members still repeat the condition every year. 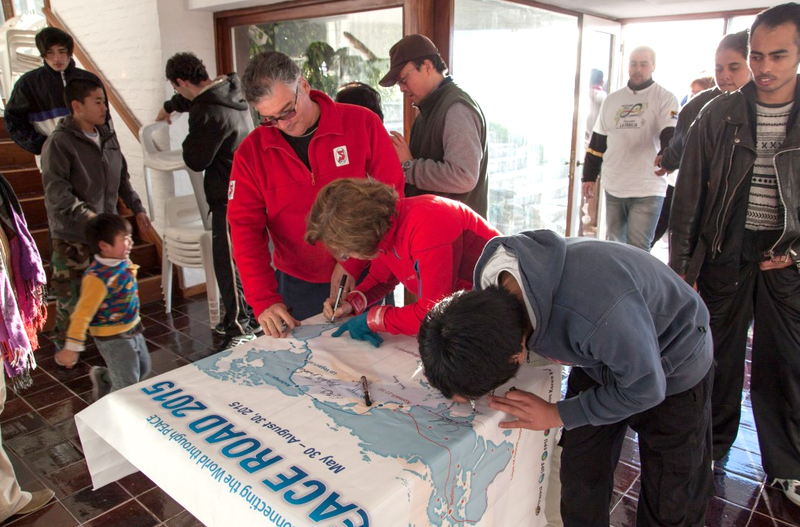 At 11:00 in the morning, the Peace Road team went from Montevideo to José Ignacio to launch the event. Mr. Cono Rossi, representing local ambassadors of peace, Mr. Cell Hioh, a professional cyclist and Mr. Dong-mo Shin, the regional leader gave welcoming speeches. The opening event ended with a parayer by Mr. Jorge Mendez. After the launching, ten cyclists left first on the 40 km journey from José Ignacio to Punta del Este. Other participants followed them on foot, some marching and others jogging. The last eight participants to finish the journey arrived late at night after walking for ten hours. The closing ceremony took place at Punta del Este at 4 pm. Juan Pigola, an ambassador for peace; Rev. Dong-mo Shin, and Kazuhiro Tusake, President of FFWPU Uruguay each spoke at the closing ceremony. At the end, we had a cake cutting cut which was followed by three cheers of eug mansey led by Elena, one of our member.